SEO stands for Search Engine Optimisation (USA = Optimization). 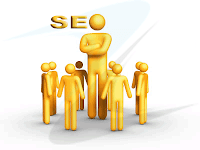 SEO also mean a Search Engine Optimiser. 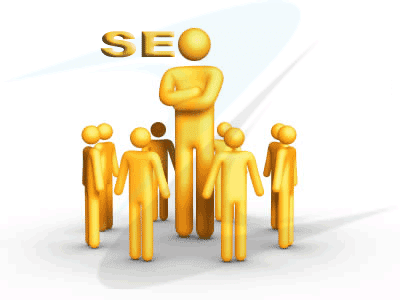 One description of Search Engine Optimisation is a planned of a website improvement. Another, more common view is that SEO is a long term tactic of Internet marketing. Which is right? Both are, but what SEO is really about, is traffic. Yes, SEO is all about bringing the right traffic from a Search Engine to a website. 301: An error code from a web server indicating that the desired page has been relocated (redirected) permanently to another address, which is supplied to the browser, so the human never sees the old URL in the address bar. Also used colloquially as a noun, e.g., "Set up a 301 to avoid problems.” (There are many such result codes that humans do not see with a web browser, such as a 200 which is served for every page that is displayed normally). Backlink (Inbound Link): A clickable image or text on another website that takes the clicker to another website. Bilink (reciprocal): A bi-directional (reciprocal) link from the same page that is linked by the other site. Most reciprocal links tend to be form a links page to the home page of the other site, but an example of a bilink is from home page to home page. Directory: A searchable website structured into tired categories of topics, typically with links to web site and other online resourses. Google Pagerank (PR): For most people this is a numeric value between 0 & 10 displayed by thegoogle toolbar (hence also known as Toolbar PR or TPR). It is a snapshot of the real PR taken every three months & represents a voting tally based on the PR of pages that link to it. Link: A clickable image or text hyperlink on your web page that takes a clicker to another website. Keyword / Keyphrase / Keyword Phrase: The word or phrase (contracted to key phrase) that the advertiser anticipates to be used by the searcher either partly or exactly. Compare with Search Term. The term "keyword” is also used equally with the search term. Organic Results: Also known as "natural results”, "free results”, "algorithmic results”, and so on, organic refers to the results when you make a query in a search engine. SEO by definition improves these results, but it is misleading to use the expression "Organic SEO” as there is no corresponding SEO for the paid listing (ads). Ranking: Used mainly in the context of ranking high in the search results – to improve the position of a search result: that is the Goal of SEO. Search Engine: A database driven website with a user interface that enables users to find online resources, typically web sites. Search Engine Result Page (SERP): The search results that are displayed after a search request is submitted. The acronym is used as a noun to refer to the actual results, e.g. "Most searchers do not go past the first three SERPs”. Search Term: The word or words typed into a search box by a user as part of a query. It is often used synonymously with keyword. Stemming: A number of search engines will use your search term as the stem of a related word, for example, you search for a singular term and the search engine take in the plural form in the results. Sometimes, exceptions are made, for e.g., blind/blinds are not typically related terms. Nice Post! Thanks for sharing the information on Search Engine Optimization. this blog will help to me alot and also for beginers who want to make career in SEO.m also working but want to know more about to ehance my skills. once again thanks and keep posting such a nice post..